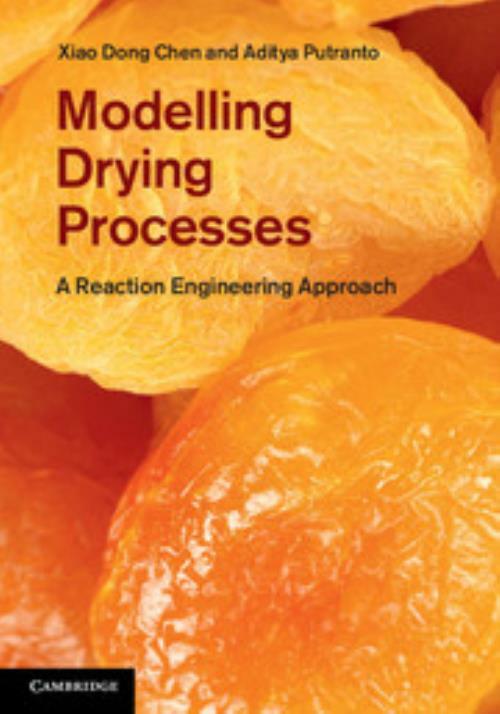 This comprehensive summary of the state of the art and the ideas behind the reaction engineering approach (REA) to drying processes is an ideal resource for researchers, academics and industry practitioners. Starting with the formulation, modelling and applications of the lumped-REA, it goes on to detail the use of the REA to describe local evaporation and condensation, and its coupling with equations of conservation of heat and mass transfer, called the spatial-REA, to model non-equilibrium multiphase drying. Finally, it summarises other established drying models, discussing their features, limitations and comparisons with the REA. Application examples featured throughout help fine-tune the models and implement them for process design and the evaluation of existing drying processes and product quality during drying. Further uses of the principles of REA are demonstrated, including computational fluid dynamics-based modelling, and further expanded to model other simultaneous heat and mass transfer processes. 2. A 'microstructural' discussion of the phenomena of drying of moist porous materials; 1. 3. The reaction engineering approach (REA) to modeling drying; 1. 2. Reaction Engineering Approach I: Lumped-REA: 2. 1. The REA formulation; 2. 2. Determination of REA model parameters; 2. 3. Coupling the momentum, heat and mass balances; 2. 4. Mass or heat transfer limiting; 2. 5. Convective drying of particulates or thin layer products modeled using the L-REA; 2. 6. Convective drying of thick samples modeled using the L-REA; 2. 7. The intermittent drying of food materials modeled using the L-REA; 2. 8. The intermittent drying under time-varying temperature and humidity modeled using the L-REA; 2. 9. The heating of wood under linear-increased gas temperature modeled using the L-REA; 2. 10. The baking of cake modeled using the L-REA; 2. 11. The infrared-heating drying of a mixture of polymer solution under time-varying infrared-heating intensity modeled using the L-REA; 2. 12. The intermittent drying of a mixture of polymer solution under time-varying infrared-heating intensity modeled using the L-REA; 2. 3. Reaction Engineering Approach II: Spatial-REA: 3. 1. The spatial reaction engineering approach (S-REA) formulation; 3. 2. Determination of the S-REA parameters; 3. 3. The S-REA for convective drying; 3. 4. The S-REA for intermittent drying; 3. 5. The S-REA for wood heating under constant heating rate; 3. 6. The S-REA for baking of bread; 3. 4. Comparisons of the REA with Fickian-Type Drying Theories, Luikov's and Whitaker's approach: 4. 2. Boundary conditions' controversies; 4. 3. Diffusion-based model with the local evaporation rate; 4. 4. Comparison of the diffusion-based model and the L-REA on the convective drying; 4. 5. Comparison of the diffusion-based model and the S-REA on the convective drying; 4. 6. Model formulation of Luikov's approach; 4. 7. Model formulation of Whitaker's approach; 4. 8. Comparison of the L-REA, Luikov's and Whitaker's approach for modeling heat treatment of wood under constant heating rate; 4. 9. Comparison of the S-REA, Luikov's and Whitaker's approach for modeling heat treatment of wood under constant heating rate; 4. Xiao Dong Chen Monash University, Victoria. Xiao Dong Chen is currently the 1000-talent Chair Professor of Chemical Engineering at Xiamen University in China and the Head of Department of Chemical and Biochemical Engineering. He is also a fractional Professor of Chemical Engineering and the Co-Director of the Biotechnology and Food Engineering Research Lab at Monash University, Australia, and an Elected Fellow of the Royal Society of New Zealand, the Australian Academy of Technological Sciences and Engineering, and the IChemE. Aditya Putranto Monash University, Victoria. Aditya Putranto holds a PhD in Chemical Engineering from Monash University, Australia.